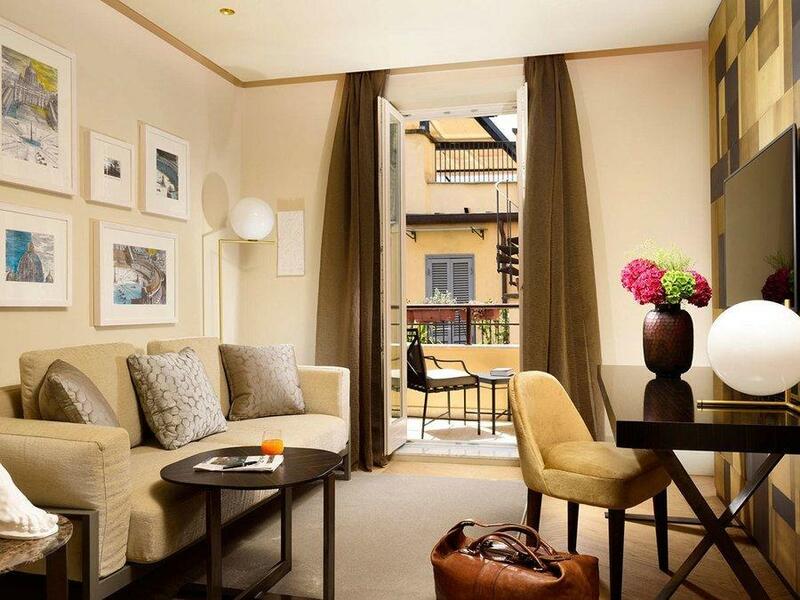 Our expansive, luxurious Deluxe Suites in Rome average 51 square meters (545 square feet). 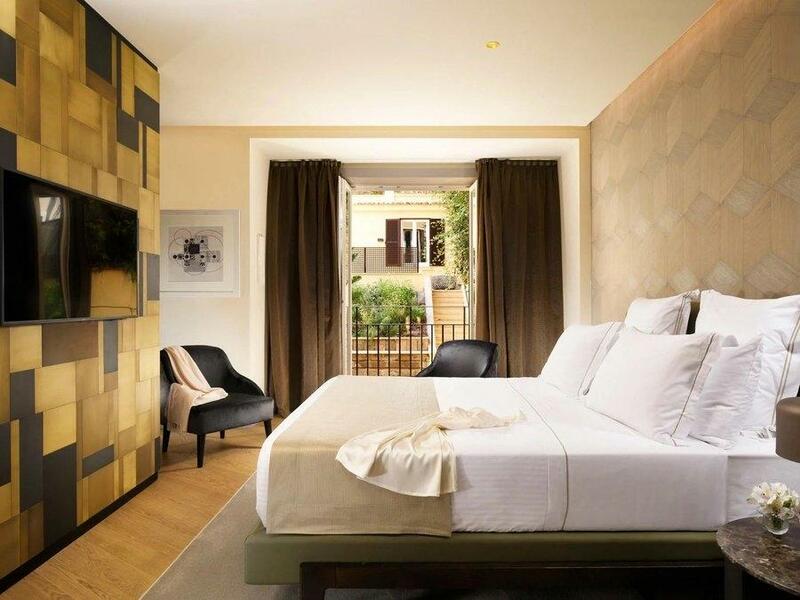 The Italian contemporary design offers stylishly serene surroundings and superb levels of comfort. Warm color palettes and designer fabrics combine to create an elegant, soothing oasis. All suites have a king-size bed with Frette sheets and a down-filled duvet. A comfortable sitting area and a full desk lets guests relax while enjoying the room’s comforts, including a flat-screen entertainment system with Apple TV. 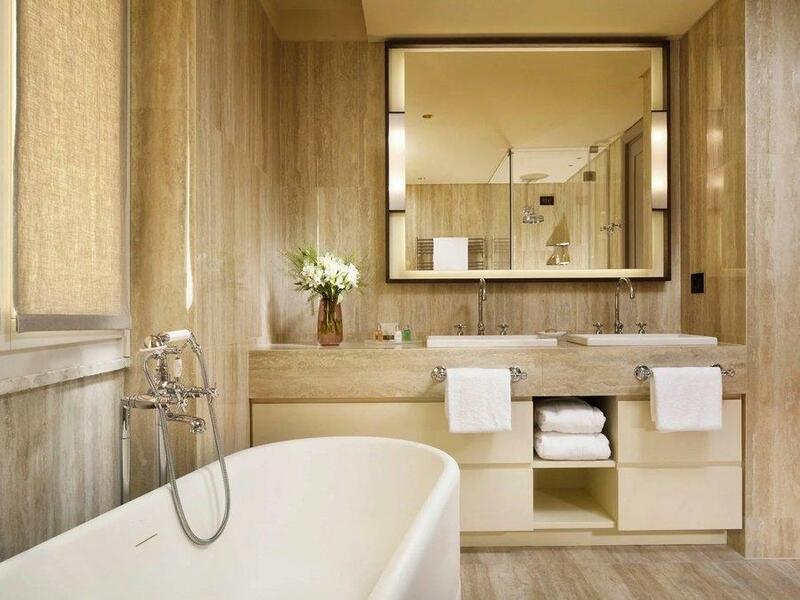 The spacious wall-to-wall travertine marble bathroom includes a freestanding bathtub, walk-in shower, designer toiletries, and soft Frette bathrobes. 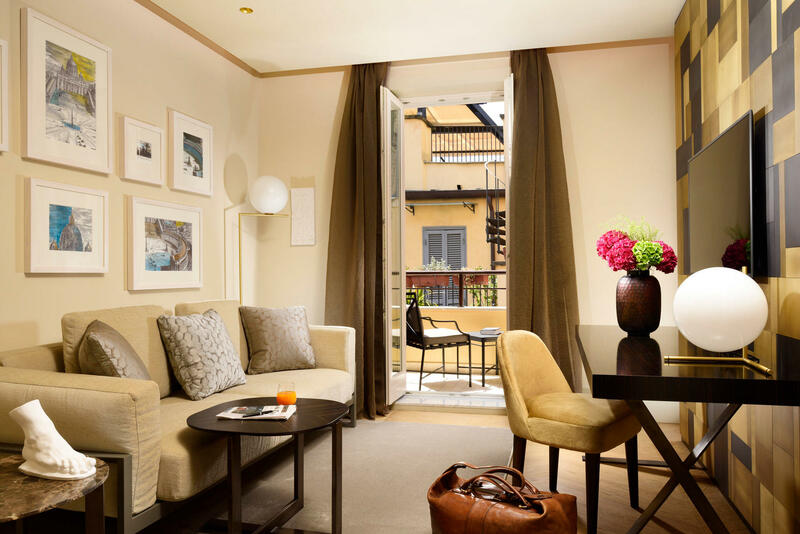 Some Deluxe Suites overlook charming Via Margutta, while the deluxe suites in the rear of the palazzo have a view of the Hotel Margutta 19 garden. Some of the suites have a balcony with outside seating.